The Triton Aqua Pump Kit is a complete, ready to use water control system. The Triton Aqua Pump Kit is located in the floor at the lowest point in the basement and nearest to a suitable point of discharge for the pump. The sump lid is capable of accepting foot traffic and is easily removed for maintenance and servicing access. Full installation guidelines are provided and these should be read carefully before installation. 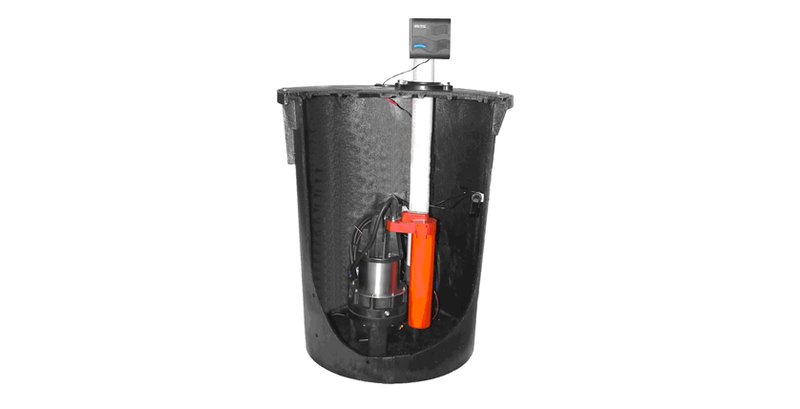 The Triton Aqua Pump Kit comprises a pre-formed sump basin, a single mains powered 230V submersible pump, internal 40mm plumbing to sump, including a non-return valve, and a battery powered, high water level alarm. The Triton Aqua Pump Kit is located in the floor at the lowest point in the basement and nearest to a suitable point of discharge for the pump. The sump lid is capable of accepting foot traffic and is easily removed for maintenance and servicing access. Full installation guidelines are provided and these should be read carefully before installation.